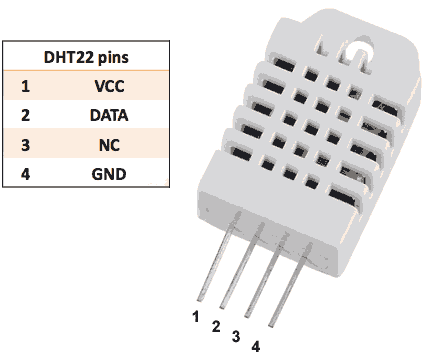 The DHT22 sensor is connected to ESP8266. 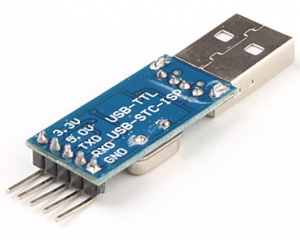 ESP8266 offers a complete and self-contained Wi-Fi networking solution. 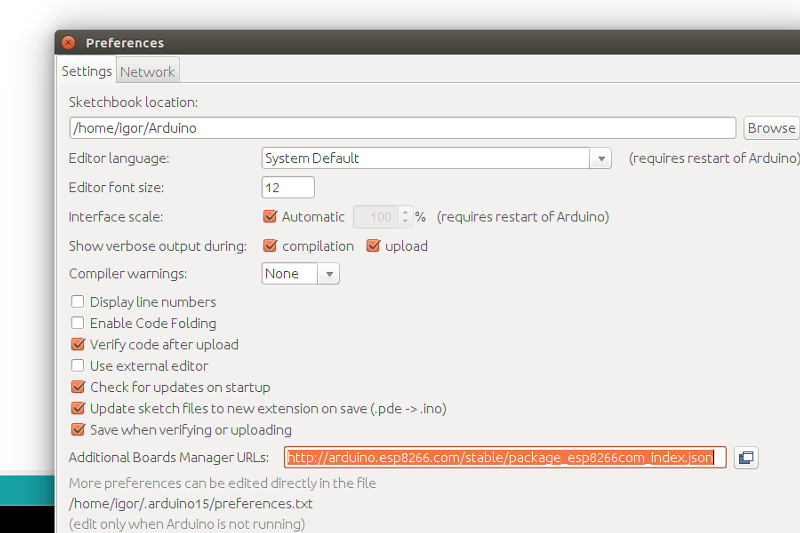 ESP8266 push data to Thingsboard server via MQTT protocol by using PubSubClient library for Arduino. Data is visualized using built-in customizable dashboard. 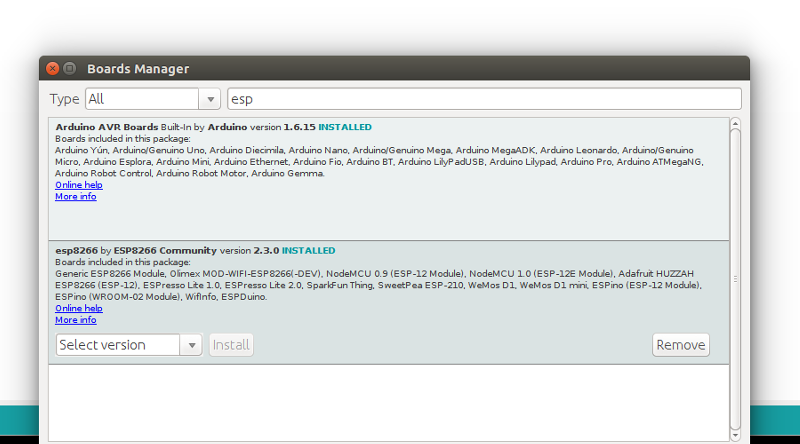 The application that is running on ESP8266 is written using Arduino SDK which is quite simple and easy to understand. 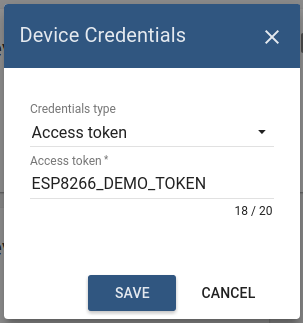 Download and open esp8266-dht-mqtt.ino sketch. 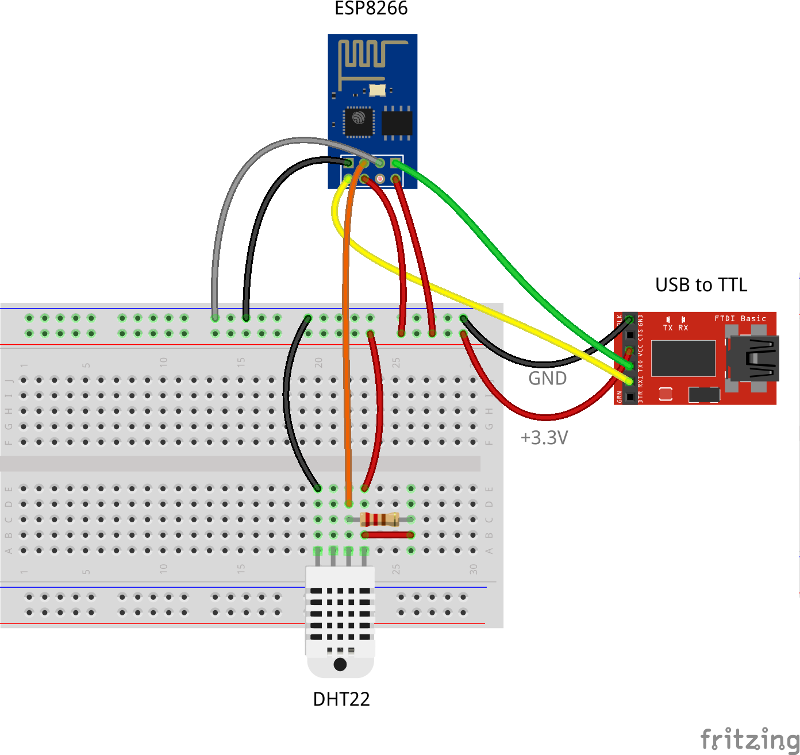 After application will be uploaded and started it will try to connect to Thingsboard node using mqtt client and upload “temperature” and “humidity” timeseries data once per second. 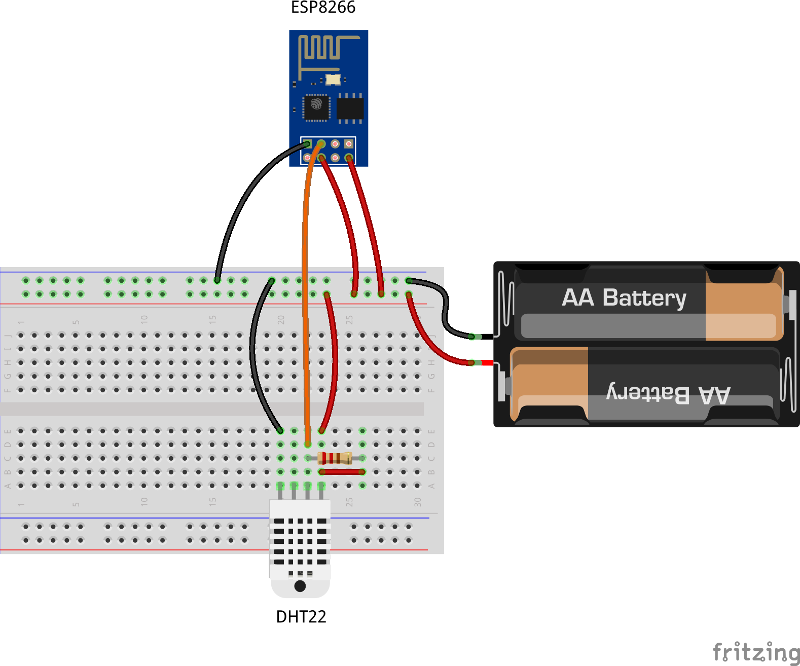 When you have uploaded the sketch, you may remove all the wires required for uploading including USB-TTL adapter and connect your ESP8266 and DHT sensor directly to power source according to the Final wiring schema. 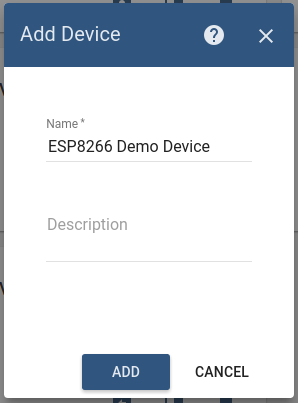 Go to “Devices” section and locate “ESP8266 Demo Device”, open device details and switch to “Latest telemetry” tab. If all is configured correctly you should be able to see latest values of “temperature” and “humidity” in the table. 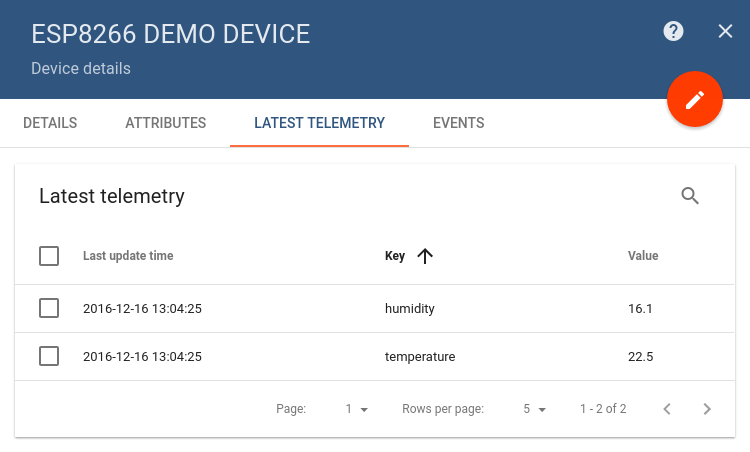 After, open “Dashboards” section then locate and open “ESP8266 DHT22: Temperature & Humidity Demo Dashboard”. As a result you will see two digital gauges and two time-series charts displaying temperature and humidity level (similar to dashboard image in the introduction).